NAMM 2011 — The new Vox Dynamic Looper provides optimized effects and musical loop tools that together promise unprecedented new dimensions in live performance! As a group, guitarists have always been noted for exploring new sounds and developing unexpected performance techniques that astonish and delight the listener. 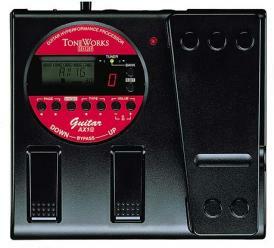 This in turn has fuelled a vast array of equipment designed to stimulate and inspire the guitarist’s creativity. The Vox Dynamic Looper is just such a product, ideal for the guitarist who seeks this type of new expressive power. Combining versatile effects, two independent loops, and intuitive “wah-style” footpedal control, the Vox Dynamic Looper allows the player to develop their sound in nearly limitless ways. Just plug in, and you’ll be creating phrases you never dreamed of, and enjoying the dramatic new world of loop performance techniques. The Dynamic Looper provides two independent loops, with a combined total record time of 90 seconds. Each loop can be stacked with an infinite number of tracks using innovative Sound on Sound recording, with no loss of fidelity. This two-loop design opens up complex and highly original performance techniques, such as switching between phrases of different lengths, or containing different chord patterns. Recording loops is smooth and easy; the Dynamic Looper offers a variety of tools to help you along. Auto Recording Start waits for your first note; the metronome can provide a rhythmic guide; and the Loop Quantize function uses the tempo to create perfect-length phrases that loop on the beat. Eleven types of Pre Effect that can be applied to your sound as you perform. A diverse selection is provided, and each offers numerous options. For example, a single effect can offer a clean sound, compressor effect, vintage-feeling overdrive or an aggressive metal distortion – and more! 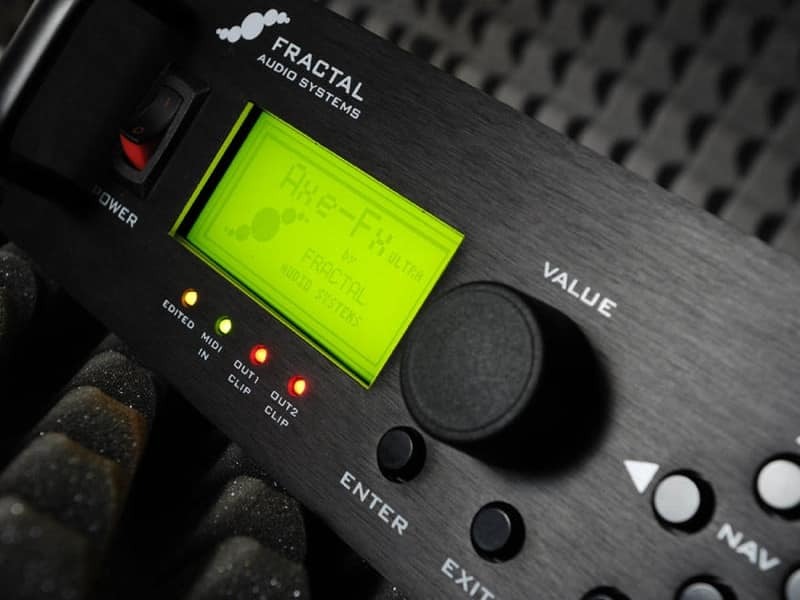 There are also standard effects such as wah and delay, and unusual effects such as filter, synth, and even bass and acoustic guitar instrument simulators. With just a single guitar, you’ll be able to enjoy an incredible range of instruments and sounds. 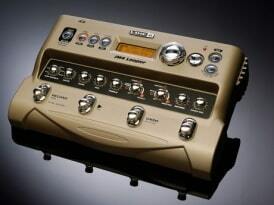 The Dynamic Looper also provides a variety of Loop Effects that can be applied to the recorded phrases, transforming the phrases in dramatic ways. Eleven effect types are provided; multiple variations of each effect allow the creation of highly original phrases, and the ability to still add to a loop after it has been recorded. These include unusual effects such as pitch change and reverse playback, as well as fresh new effect types such as Loop In Loop, Scrub, and Stutter effects – great for generating twisting, rhythmic performances. Loop effects create an entirely new arsenal of sounds never before possible on the guitar. As you play, there are even more features in the Dynamic Looper to enhance your musical presentation. The Master Limiter offers both a Soft and a Hard setting. The Limiter helps to maintain a consistent level between the original signal and the recorded loop playback, as well as the levels between the two loops. Three Stop effects determine how the loop playback will end – with clean, delay, and fade-out options. Overall, the Dynamic Looper offers 100 programs. A single program contains the settings for the Pre Effect, the Loop Effect, and the pedal assignment. There are 50 preset programs ready for immediate use, letting you enjoy the Dynamic Looper’s possibilities right away. You can also create and store up to 50 of your own programs in the user program area, either by editing one of the preset programs or by starting from scratch. One of the most important features of the Dynamic Looper is the control pedal. Styled like a traditional Vox wah pedal, this rugged pedal can change the input Volume, a specified Pre Effect parameter, or a specified Loop Effect parameter in real time to transform the sound. 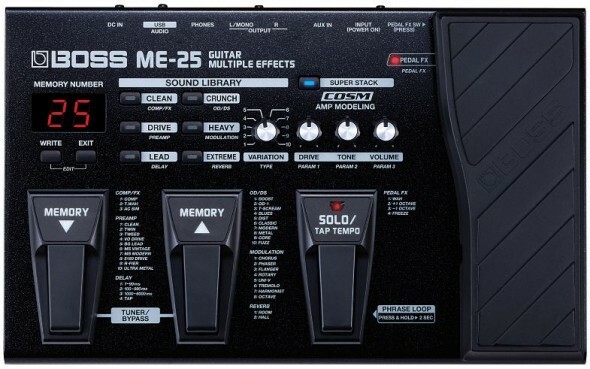 Use the pedal to control the Pre Effects as you record, then switch it to control the Loop Effect on playback, or continue using the pedal to control the sound as you continue to play. This convenient pedal control is intuitive and easy to use. While using the Loop Effect and/or control pedal to modify the loop phrase as it plays back, you can use the Resampling function to re-record the result. Resampling allows the layering of multiple loop phrases and effects, adding to the intricacy of the looped phrases. Re-sampling can also be used to create loops of a different length than the previously-recorded loop. Creative and diverse performance possibilities await you. In addition to the standard instrument input (1/4″ unbalanced); the Dynamic Looper is also equipped with an XLR input for a dynamic microphone. This input also has its own trim knob for setting the mic level. The Pre Effect can be set to apply to the instrument input, the mic input or both simultaneously. This simple feature unlocks even more performance possibilities.